Intelligence quotient online test variant 2. Fun online logic learning game. 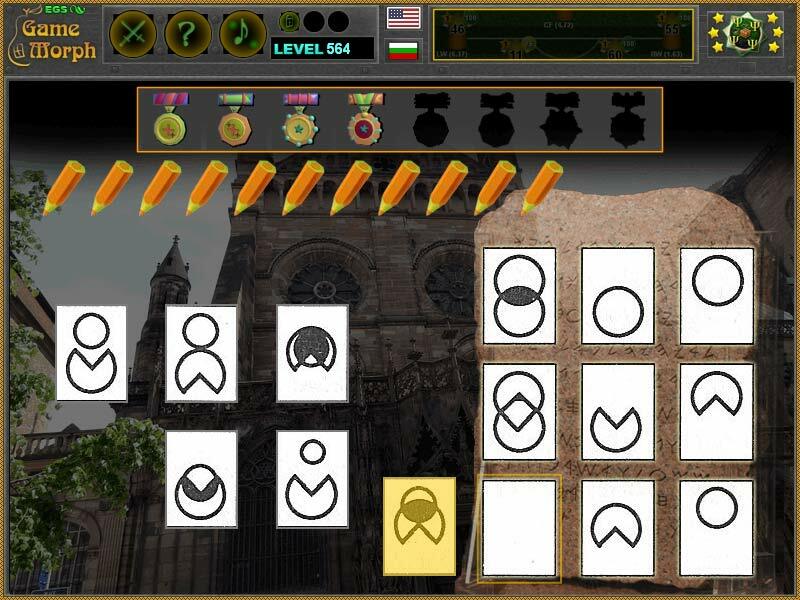 "Logic Shapes" is another free online knowledge level game to train skills in Intelligence Quotient. It is the third part of Logic Figure tests, with different figures and logics. A short flash game for desktop computers, laptops and tablets, which may be played in the web browser. 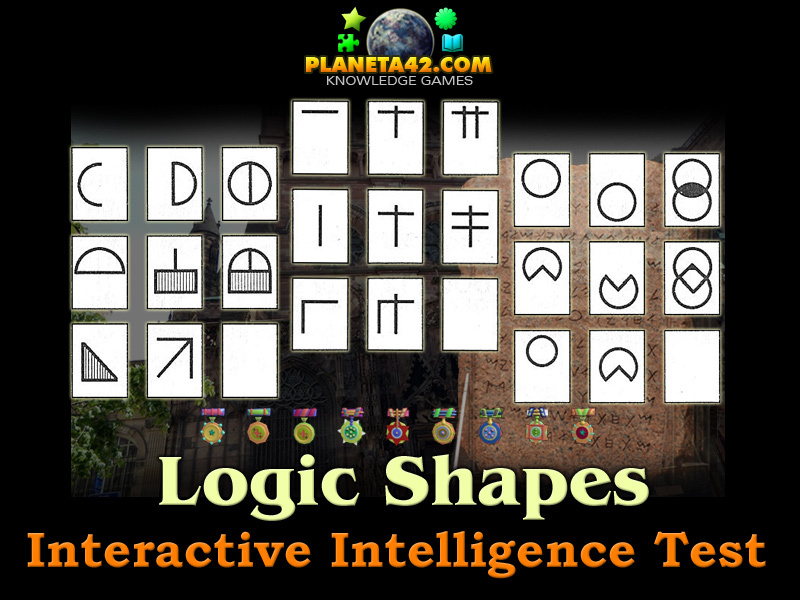 The Logic Knowledge Board include 42 logic shapes and 7 patterns to play with. Part of the Interactive Intelligence Quotients educational tools. How to solve intelligence quotient tasks with figures for IQ tests? What do IQ tests include? Where to practice IQ tests for University and work exams? How to play Logic Shapes. Drag and drop the correct shape in the missing slot on the figures pattern. There are 6 different pieces with strange shapes to the left. And the logic pattern is to the right. Choose one shape, which you think will fit properly. Observe the patterns by rows and by columns. Look for basic figures, counts and rotations, overlays and others.Cover the figures in different order. Usually the logic goes from left to right. Here it is from right to left. There are 7 extra tries that gives advantage in this fun p42 test. In the real tests thought, there are no extra tries. Master the logic behind Intelligence Quotient shapes test. Here is a gameplay movie from Planeta 42 Logic Games on YouTube. Pictures and logics by J. Vasileva. Labels: Games with Figures , Tile Games , Flash Games , Logic Games , Education Games , Free Online Games.